Visibly reverse the aging process with a photo facial! Photofacials - Also referred to as "Fotofacials", were designed to combat the effects of aging and damaged skin in a softer, gentler way. 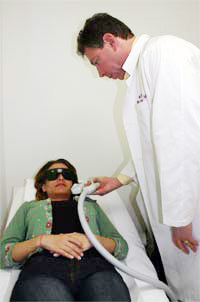 The procedure uses Intense Pulsed Light (IPL) to reduce the redness and flushing of Rosacea by up to 80 or 90 percent. It can be used to treat the full face, neck, chest and even the hands. The technology has been used to perform millions of treatments worldwide and is very safe. The treatment is especially effective for those patients with red, flushed faces, sun-damaged skin, hyperpigmentation, or enlarged pores. The treatment is very precise and can be used to just target damaged tissues leaving the surrounding tissue untouched. The Youtherapy ELOS skin rejuvenation system can gently deliver precise amounts of light energy through your skin's surface, with specific settings for each treatment. 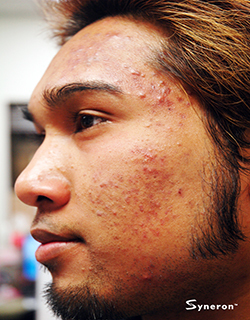 Dramatic results can be seen with one treatment. Maximum results can be seen with a series of treatments. The Procedure - Typically, patients will need between 3-5 treatments, each taking just 15 to 30 minutes. You may opt for a topical anesthetic. After only one treatment, your skin will have a more even tone with a smoother look and feel. Sunspots will fade, pore sizes will shrink, and fine lines and wrinkles will gradually decrease in size. These improvements will steadily increase with each treatment. 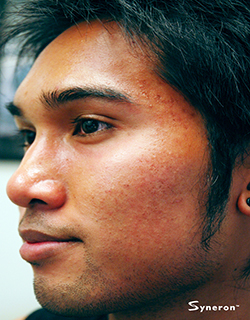 Patients with Rosacea will see a progressive decrease in redness with every treatment. William Greenberg M.D. offers a complimentary consultation. Transform your skin to the way you always wanted it to be! Reduce the signs of aging with Foto Facial Skin rejuvenation laser treatment. Whether the damage is caused by the sun, chronological aging, moisture loss, or over-used facial expressions. The use of targeted pulse laser light and radio frequency called ELOS (Electro-optical synergy) technology can help you reclaim your skins youth and beauty. The laser treatment can remove skin imperfections caused by sun damage, age spots, pink, red, and brown spots, rosacea, and broken capillaries to even out your skin. Remove facial skin irregularities and stimulate the production of your own collagen, resulting in smoother clearer skin and a more youthful appearance. 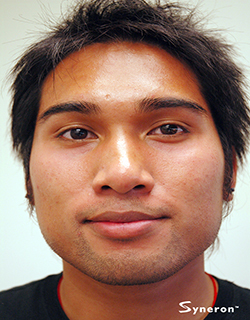 The main advantage of Foto Facial treatments is that the procedure is non-invasive. No needles, no incision. This means no lost time from work or leisure activities. Treatments take about a half hour per session and are virtually painless. Optimum conditions for treatment are skin that is untanned, followed by adequate sun protection. As always, results vary with each individual, but after an average of two sessions, you can look forward to visible improvement. 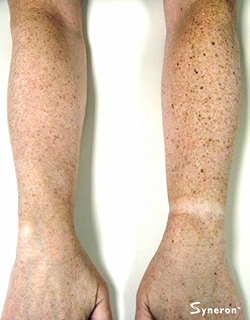 Hyperpigmentation (Spots) occurs when your body produces an excess amount of melanin - the pigment portion of your skin. This results in brown spots, age spots, freckles, or patches of darkened skin. 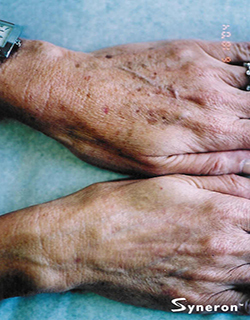 This overproduction of melanin affects people of all skin colors and is most often seen on those areas of the body that are exposed to the sun (face, chest and hands). The use of targeted pulse laser light and radio frequency called ELOS (Electro-Optical Synergy) technology can help you reclaim your skins youth and beauty. The laser treatment can remove skin imperfections caused by sun damage, age spots, pink, red, and brown spots, sun induced freckles Rosacea, and broken capillaries to even out your skin. Remove facial skin irregularities and stimulate the production of your own collagen. Conditions, such as Rosacea, can be improved by lightening the redness, for a better blend in the skin color. 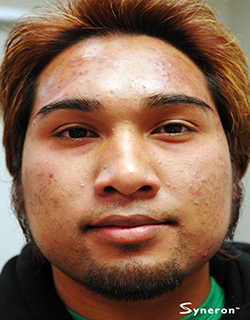 Photo-Rejuvenation will also clear up bad acne and decrease the pore size. 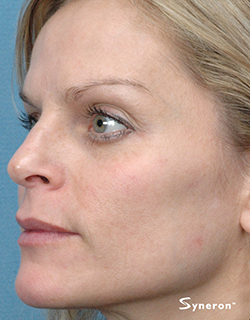 Medical Microdermabrasion treatments and/or Chemical Peels can mildly improve pigmentation problems and uneven tones. It works by gently exfoliating the top layer of the skin, to improve color, texture, and pore size. Deeper peels such as Vitalize penetrate to deeper levels of the skin to remove even more of the sun damage, age spots, and pigmentation problems. 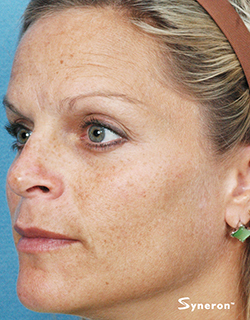 Foto facial rejuvenation treatments can treat a full range of pigmented lesions. The Obagi Nu-Derm system is one of our complete prescription grade skin care line that reduces brown pigmentation, and improves the support structures in skin such as collagen and elastin. It works to improve the skin’s ability to renew itself for improved texture, even color, and firmness. At Youtherapy, Dr. William Greenberg monitors all clients who choose the Obagi Nu-Derm or Obagi C-Rx System. Complimentary consultations are available for all prescription systems.